Burqa-clad employees have been responsible for multiple thefts at Bangladesh’s largest hospital so now the Muslim body bag is banned. 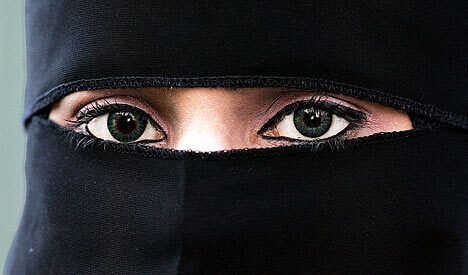 Burqa-clad criminals (both male and female) are responsible for countless crimes around the world. So why isn’t the burqa banned everywhere? Bangladesh’s largest state-run hospital has banned staff from wearing full-face burqas after an increase in thefts of mobile phones and wallets from wards. Female staff have been ordered to wear standard uniforms, which do not cover either the hair or face, while on duty at the Bangabandhu Medical University Hospital in Dhaka, senior administrator Abdul Majid Bhuiyan told AFP. “We decided to enforce our uniform regulations after discovering instances of stealing by veiled staff,” he said, adding some burqa-wearing staff had also been secretly sending unqualified “proxy workers” to cover shifts for them. I wonder if the thieves received the usual Islamic punishment for stealing – hand amputation?